Medicanes, strong mesoscale cyclones with tropical-like features, develop occasionally over the Mediterranean Sea. Due to the scarcity of observations over sea and the coarse resolution of the long-term reanalysis datasets, it is difficult to study systematically the multidecadal statistics of sub-synoptic medicanes. Our goal is to assess the long-term variability and trends of medicanes, obtaining a long-term climatology through dynamical downscaling of the NCEP/NCAR reanalysis data. In this paper, we examine the robustness of this method and investigate the value added for the study of medicanes. 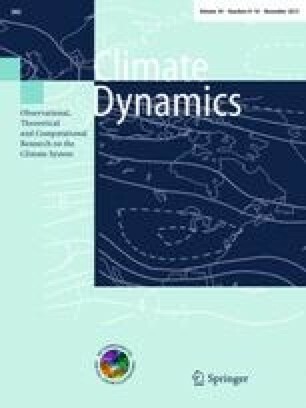 To do so, we performed several climate mode simulations with a high resolution regional atmospheric model (CCLM) for a number of test cases described in the literature. We find that the medicanes are formed in the simulations, with deeper pressures and stronger winds than in the driving global NCEP reanalysis. The tracks are adequately reproduced. We conclude that our methodology is suitable for constructing multi-decadal statistics and scenarios of current and possible future medicane activities. We acknowledge Burkardt Rockel and Beate Geyer for their precious help with the model. We thank Silvio Gualdi, Antonio Navarra and Matthias Zahn for many valuable and stimulating discussions.